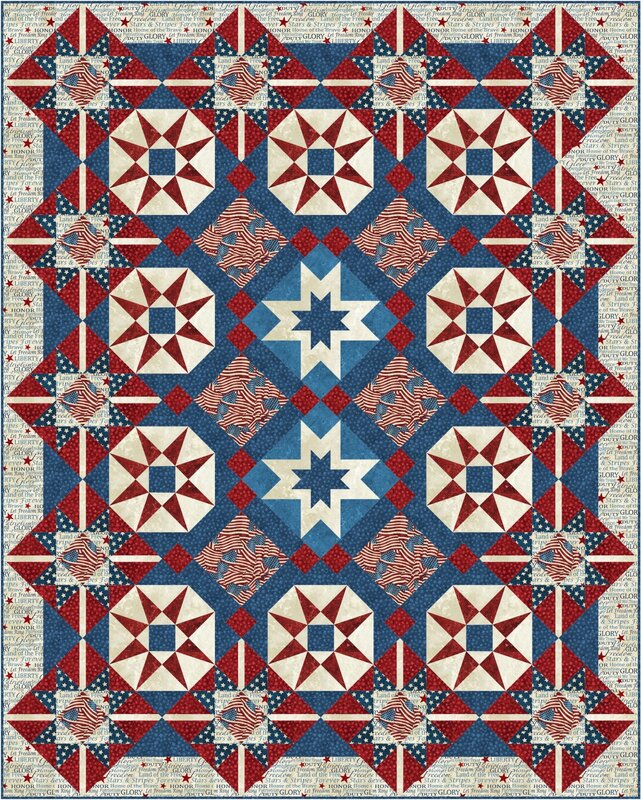 Stars sparkle and dance across the quilt and create a wonderful secondary border effect. Just one template is needed to make the lovely sharp star points. Quilt pictured is made with a selection of fabrics from Northcott's Stonehenge Stars & Stripes line.